I love learning more about the history of our National Parks! How they were formed, why they became National Parks and who had an impact on creating them. 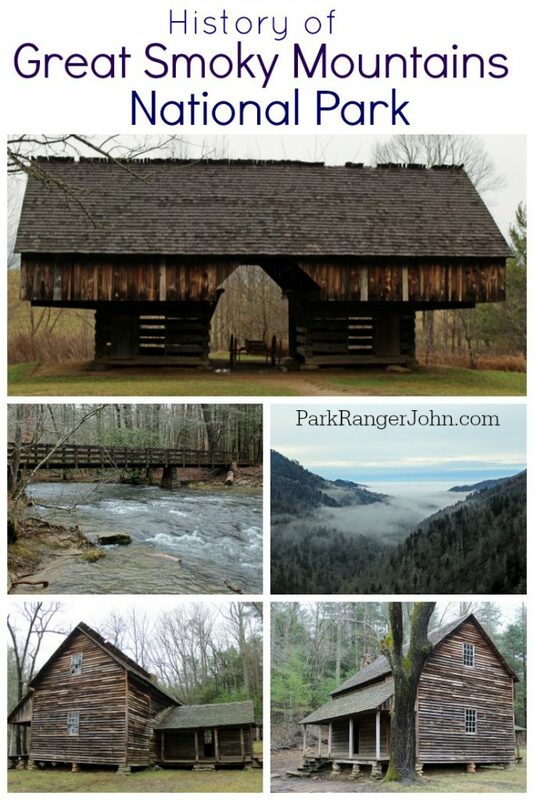 Today we are diving into the history of Great Smoky Mountains National Park. The Great Smoky Mountains National Park was originally part of the homeland of the Cherokee Indians until European settlers started settling in the 18th and 19th century. When President Andrew Jackson signed the Indian Removal Act in 1830, the Indian tribes had to move to new land, which is now Oklahoma. 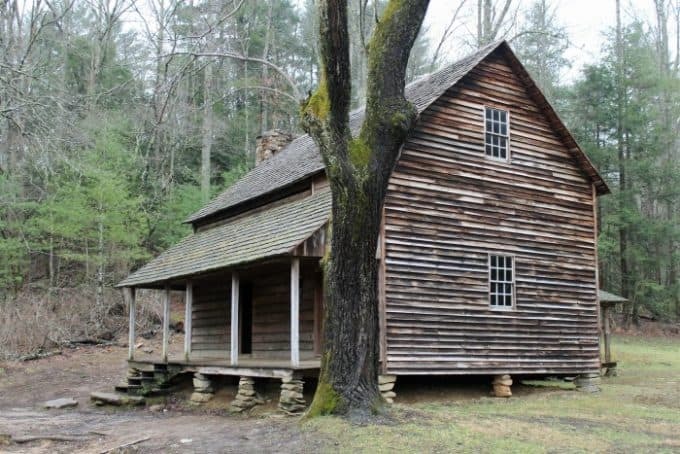 Many of the Cherokee left, but some hid out in the Great Smoky Mountains National Park. Their descendants make up the population of the Qualla Boundary that borders the park and is recognized on the maps of today at the Cherokee, NC entrance. The new settlers in the area began their lives as farmers, raising crops and hunting wild game. As they farmed, they removed the trees and vegetation in the areas surrounding their rustic homes and rural towns. Logging became an economic factor in the 1900’s and began the decline of the self-sufficient farmer as logging towns sprang up and the occupants of those towns became less likely to raise their own food and livestock. The logging industry brought in the paper companies and large timber companies. Logging was so prevalent that people became concerned over the decimation of the forest areas surrounding them. Many lumber industries were built here along with the Little River Railroad to move lumber out of the area which was ruining the beautiful area. In the 1890’s people began to talk about the preservation of the Smoky Mountain area and tried to introduce a bill into the North Carolina legislature, but it failed. It wasn’t until the people began to pressure Washington, D.C. that the plan for preservation was taken seriously. There was much debate on whether it would be classified as a national forest or a national park, with the difference being that a national forest could be logged and consumed. A national park is considered a treasure that includes scenery and resources that are protected. Unlike the creation of Yellowstone National Park, where the Congress simply decided on boundaries and set aside an area of the country that was uninhabited, the proposed Great Smoky Mountains National Park was occupied. The idea to make the Smoky Mountains area a national park was started in 1923. The idea came from a wealthy family in Knoxville, TN after visiting the western national parks and wanting a national park in the Smokies. Many other influential families of Knoxville were asking the same thing, so politicians, businessmen, and naturalists joined in on starting a national park. Making the Smokies a national park had many problems, the first being a disagreement on what should be done with the land. Some businessmen wanted to make a road between Tennessee and North Carolina to increase their business sales. Others saw this area as a place to hunt and fish while others wanted to make it a national forest instead of a park. Having this area a national forest instead of a park would still have people harm the area for hunting or cutting down trees, while a park would preserve the area. In 1926, President Calvin Coolidge signed a bill that created The Great Smoky Mountains National Park and the Shenandoah National Park. This bill allowed for the Department of the Interior to manage the land once 150,000 acres were purchased. The United States cannot purchase land for national parks, so it had to rely on fundraising and conservationist efforts to solicit donations and commitments to the land purchases. The bill to turn the area into a park passed in 1926, though fundraising started in 1925. The bill stated that only 300,000 acres would be protected and North Carolina supporters and legislatures would give $2 million in 1927, only if Tennessee could raise $2 million that same year. When the people of Tennessee realized that it would be difficult to raise that much money, Arno Cammerer of the National Park Service and Colonel David C. Chapman convinced John Rockefeller to donate money. Rockefeller was known to be a philanthropic family and wanted to help in national park causes, having helped with others. They made a donation of $5 million, but to get it, the states and the park would have to get $5 million on their own. The states of North Carolina and Tennessee both committed funds from their budgets to go towards the purchase of the lands needed to create the park. 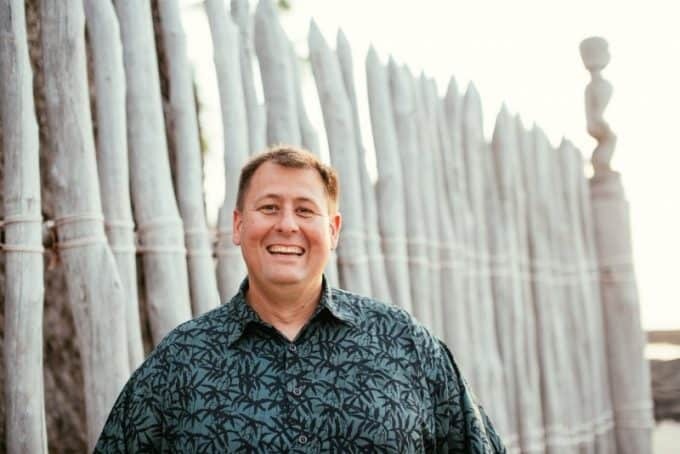 Fund-raising by individuals, groups, and schools made up a large portion of the funds needed, but they all fell short due to the rise in property values over the two years that the fund-raising had been in effect. The last problem was to get the land needed for the park, besides the forest area. In 1929, the national park officials tried to get landowners to sell. Some of these people were descendants of the original settlers and did not want to move. In 1930, condemnation suits started since the states had the right to “condemn” the property needed. In 1931, the Champion Fiber Company (the single largest landowner) suit was settled. The Little River Lumber Company settled but continued cutting down trees for seven more years. Finally, in 1931, the superintendent and the rangers showed up for work. With the transfer of the property deeds in 1934 from the states of Tennessee and North Carolina, the United States government was officially allowed to begin the development of public facilities. 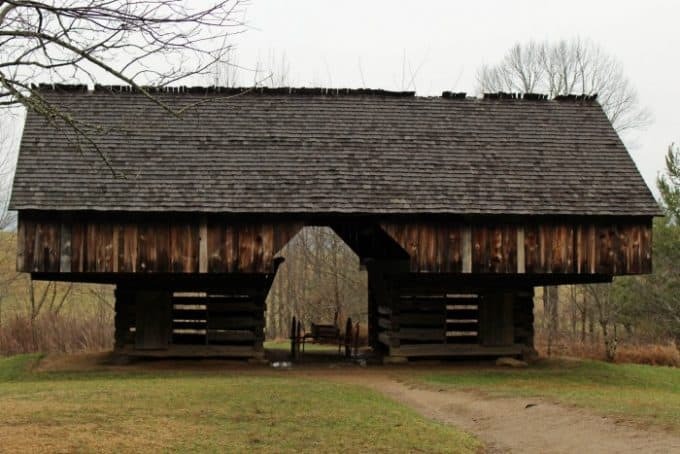 Oddly enough, the very buildings that the farmers and townspeople were relocated from are now preserved in one of the largest collections of log buildings in the east. 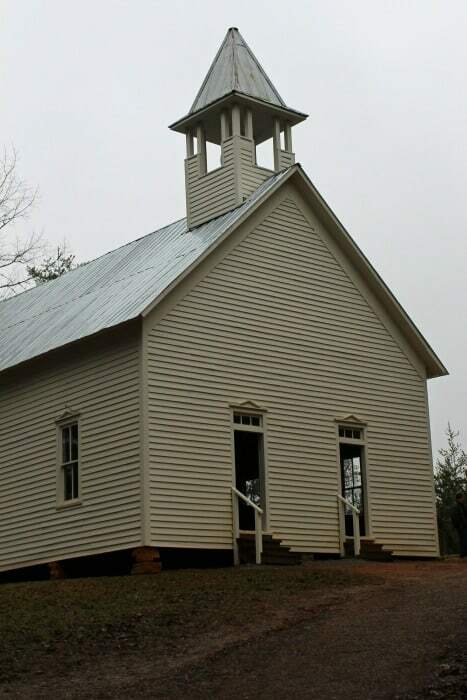 The valley of Cades Cove which is situated in the Tennessee section of the park was originally the Cherokee Indians’ hunting grounds before it was settled in 1818 by Europeans. Now it is home to a wide variety of preserved buildings that cannot be found anywhere else in the park. It is also the best place for wildlife observation and has trail heads for many of the back country campsites. In 1935, Franklin D. Roosevelt set aside more than $1.5 million for the park to purchase land. In 1936, the park reached the minimum number of acres needed to be a park. In 1940, President Franklin D. Roosevelt dedicated The Great Smoky Mountains National Park “for the permanent enjoyment of the people”. Seventeen years after the original idea, the Great Smoky Mountains National Park was dedicated at Newfound Gap between North Carolina and Tennessee with a plaque dedicated to the Rockefeller Foundation. The United Nations designated The Great Smoky Mountains National Park as an International Biosphere Reserve. A Biosphere is designed to fulfill three basic functions. It is the conservation of important biological resources. It is the development of environmentally sound economic growth and it supports research, education, monitoring and information exchange related to conservation issues.